Krystal 24 well clear polystyrene bottom, Opaque body Clear Bottom 24-well Microplates 3.1ml, 24-well clear bottom PS microplate Black, Tissue Culture Treated. With Lid.Individually packed. If you have any questions about this product by Porvair-Finneran, contact us by completing and submitting the form below. If you are looking for a specif part number, please include it with your message. 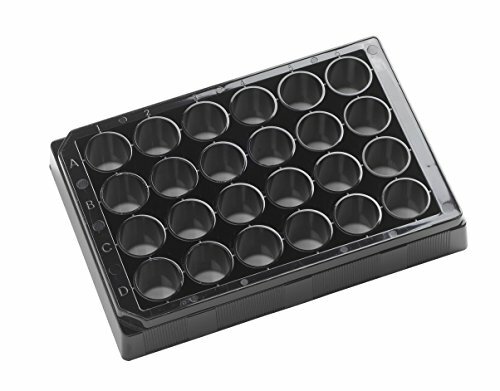 OPAQUE SOLID POLYSTYRENE ASSAY PLATES, 384-Well Microplates - 120µl square well, 384-well 120uL Polystyrene, White, Tissue Culture Treated, With Lid. Individually packed.